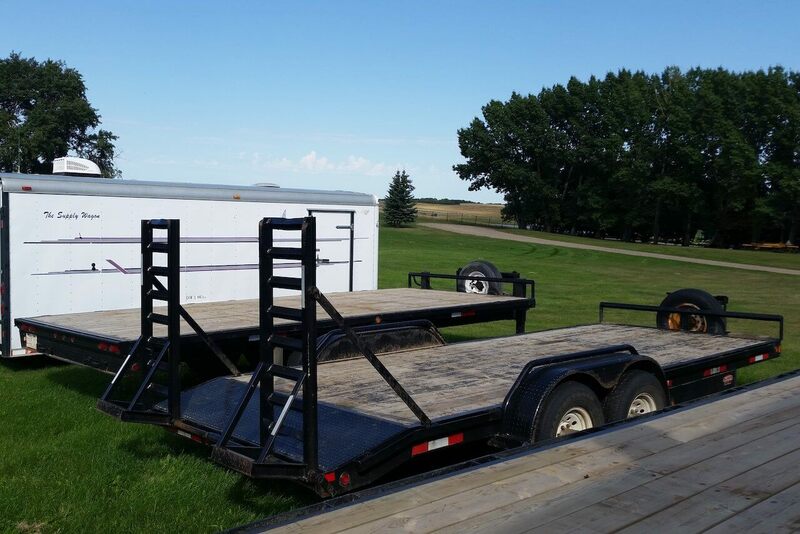 Benoit Rentals is a family-owned and operated, Alberta-based oilfield equipment rental company. 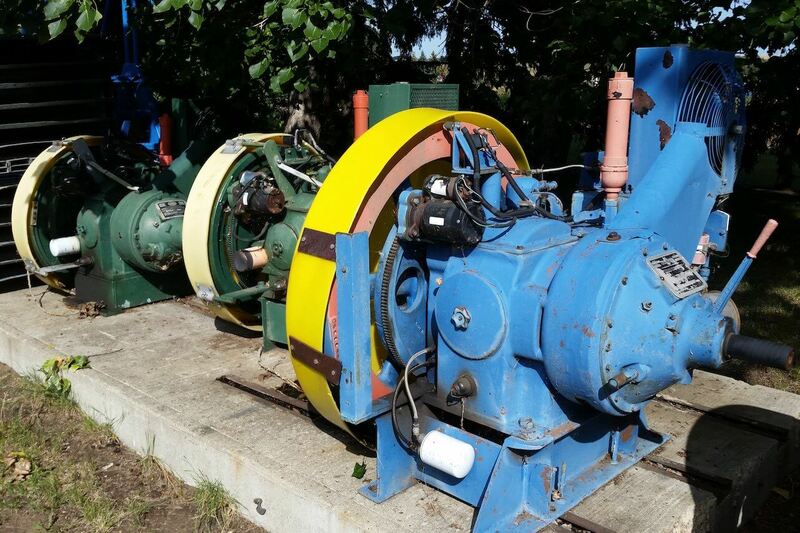 We have been renting and selling quality equipment to the oil and gas industry for over 30 years. 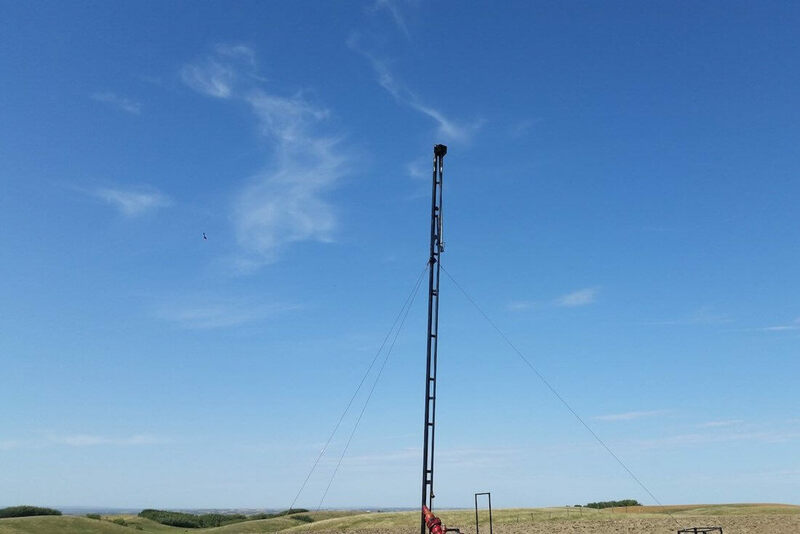 We are proud to offer a wide variety of high-quality rental equipment to suit numerous different oilfield and industrial applications. 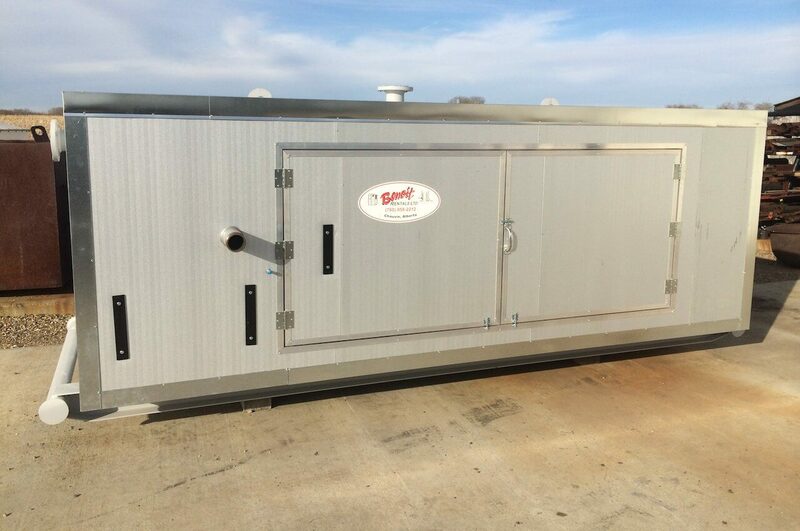 We specialize in tank rentals including 100bbl, 200bbl, 400bbl, 750bbl, and 1000bbl tanks; secondary containment systems; burner management systems; flarestacks; flare knockout drums; test separators; portable office trailers, washrooms, and washcars; light towers; rigmats; generators; and fuel storage. We proudly service all of Alberta and Saskatchewan including Chauvin, Provost, Macklin, Wainwright, Hardisty, Camrose, Lloydminster, Vermillion, Bonnyville, Fort McMurray, Kindersley, Kerrobert, Edmonton, Calgary, Red Deer, and Medicine Hat. Feel free to stop in or contact us for further information regarding our equipment. 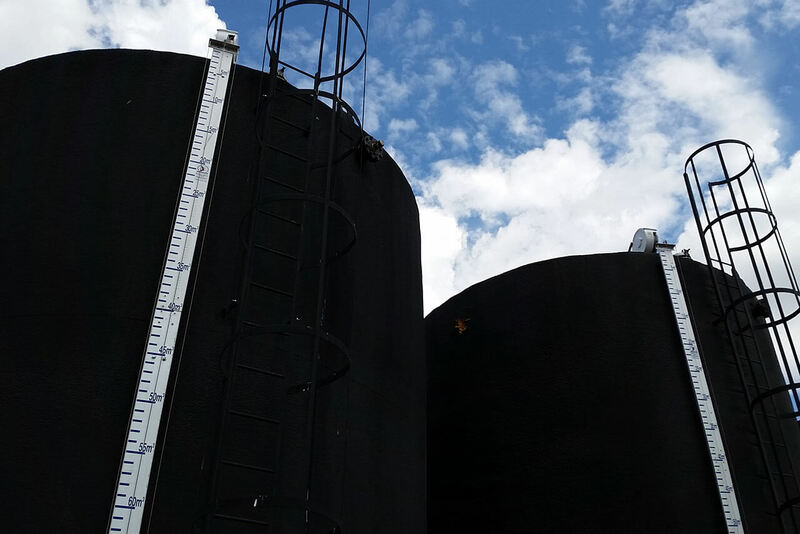 Benoit Rentals offers numerous sizes and styles of tankage for all types of oilfield and industry applications up to 2000bbl in capacity. Sour service, single-walled, API 620 14.9psi 400 bbl. tanks. 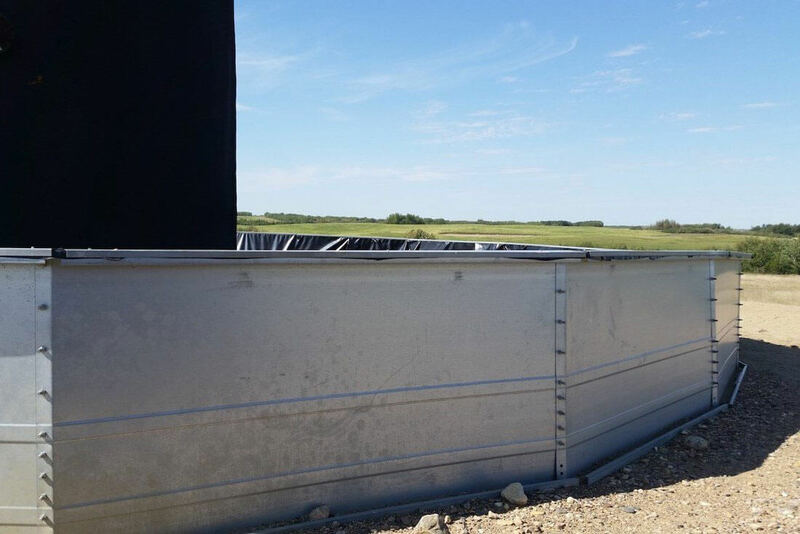 Our secondary containment systems are made of 14-gauge galvanized, free-standing panels and are available for tanks of all different sizes and configurations. We stock a large selection of new and used test separator packages. Our units are completely skidded and packaged, ready to install in the field for short or long-term use. We offer flarestack systems in a wide variety of sizes and designs to best meet your job site needs. 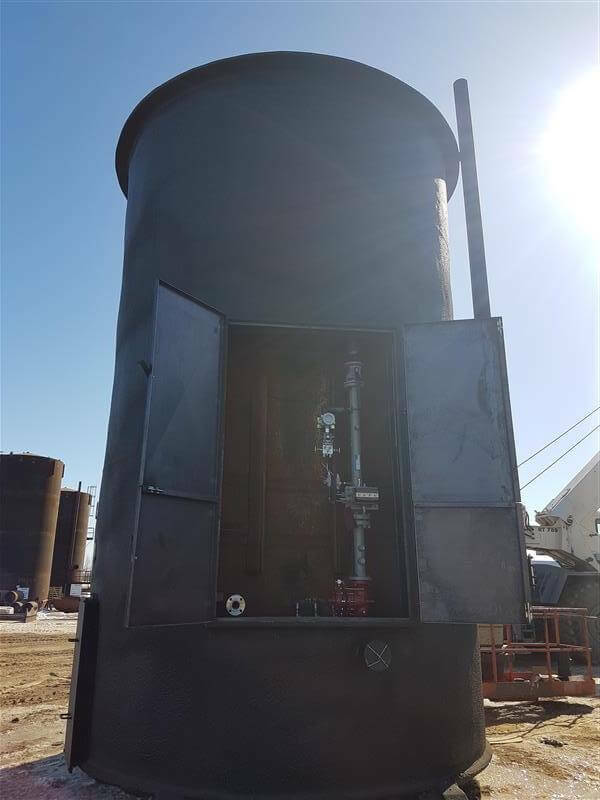 Flare knock-out drums are a specifically designed vessel used together with a flarestack system to "knock-out" or remove any liquids from the produced gas stream. They come in a variety of sizes and orientations to best need the needs of your operation. 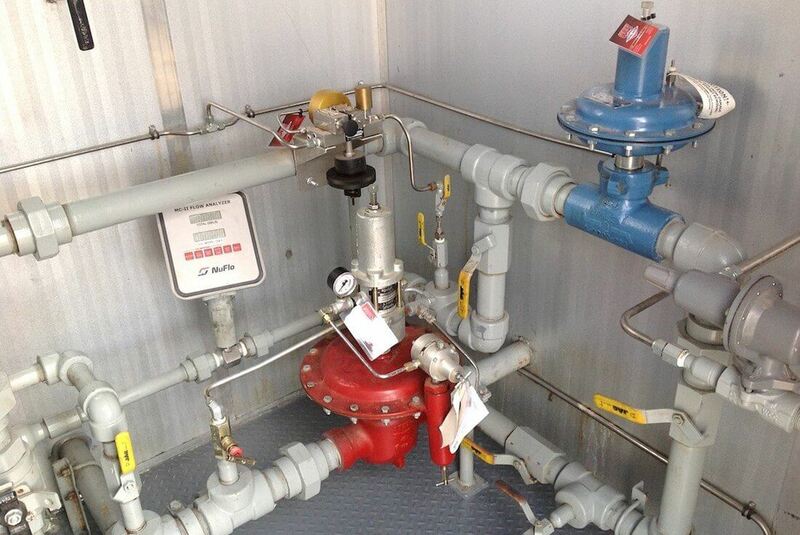 Our burner management systems are used as heating sources for the liquids that are processed and stored in our tanks. 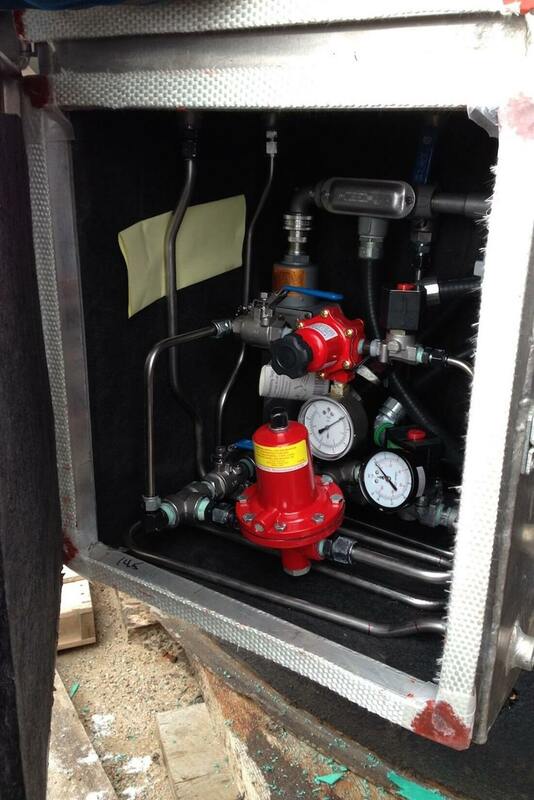 These units are delivered to site with the tank and can be configured to best suit your needs. 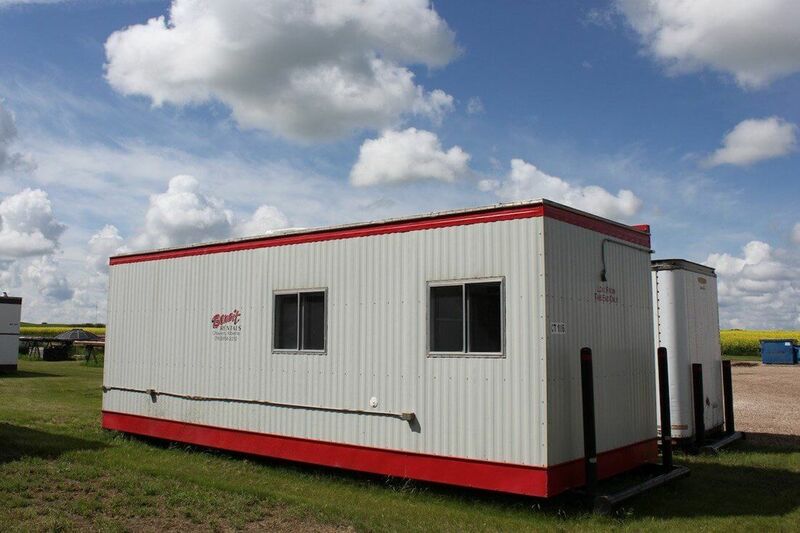 We offer a wide variety of portable office trailers to meet your site's unique needs. 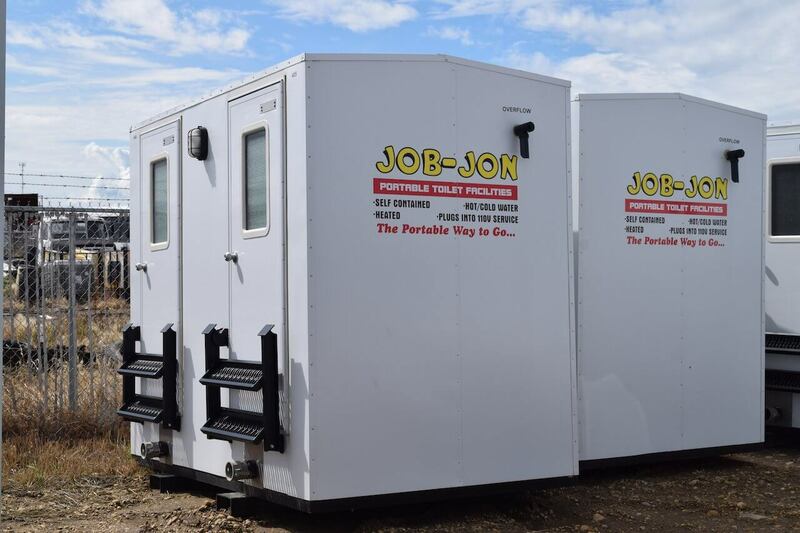 We offer a variety of different sizes and styles of portable washrooms for both temporary and long-term sites. 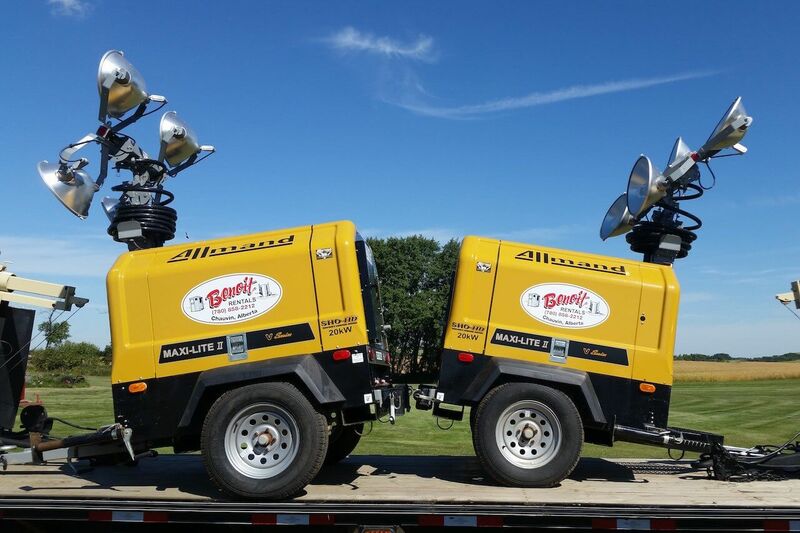 Benoit Rentals offers a wide variety of generators and light tower options to illuminate sites during early mornings/evenings as well as during the dark winter months. Benoit Rentals provides a wide variety of different onsite rental products for both short-term and long-term rental terms. 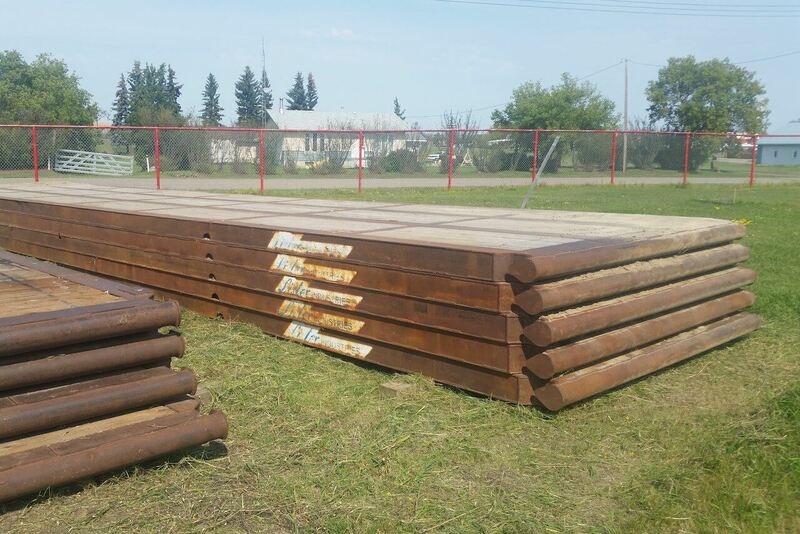 Benoit Rentals carries assorted rigmats that can be used for a variety of different applications. Benoit Rentals stocks assorted Arrow engines, including new, reconditioned and field-run engines. Use this form to contact us about booking your tank rental, office trailer, or other oilfield service rental equipment.